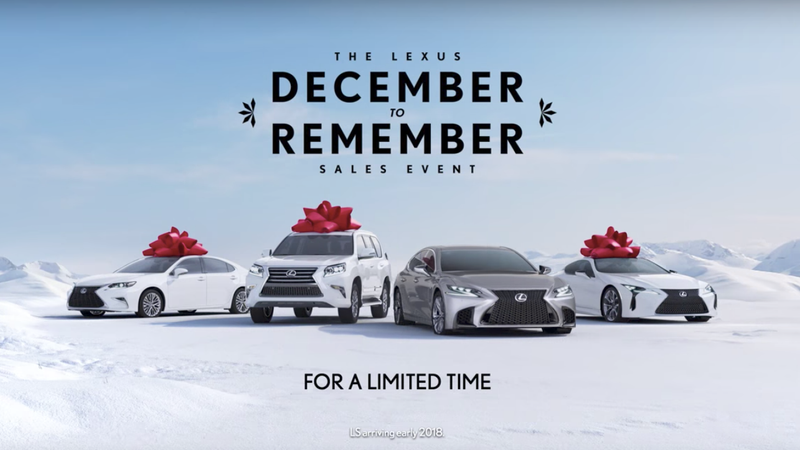 It’s that time of year again, the Lexus December To Remember Sales Event™ and I can’t be more excited. I hope my loved ones give me the gift of a new Lexus RX 350 with $3,699* due at signing. All I want for Christmas is another car payment for several years. Unless they’re dated and hilarious car commercials from decades ago, car commercials are mostly bad and the holidays are no exception. Lexus even took the initiative to invent its own holiday to sell high end luxury sedans. The people in the commercials seem to think it’s entirely normal for a $60,000 car to materialize in their driveway adorned with a giant red bow on Christmas morning. Show us the worst holiday car ads you’ve seen. What Christmas car commercials would make even Kris Kringle cringe?